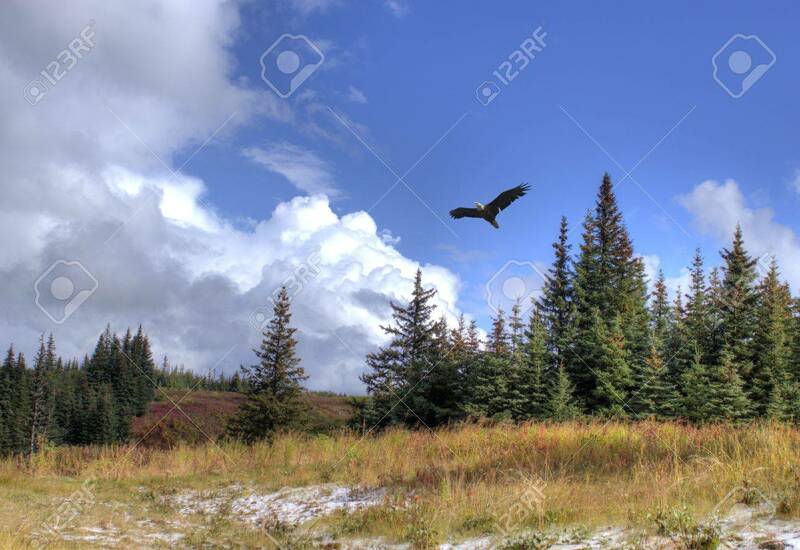 Bald Eagle Soars Over Alaskan Scenery With Spruce Trees, A Dusting.. Stock Photo, Picture And Royalty Free Image. Image 11773601. Stock Photo - Bald eagle soars over Alaskan scenery with spruce trees, a dusting of snow and dramatic clouds. Bald eagle soars over Alaskan scenery with spruce trees, a dusting of snow and dramatic clouds.